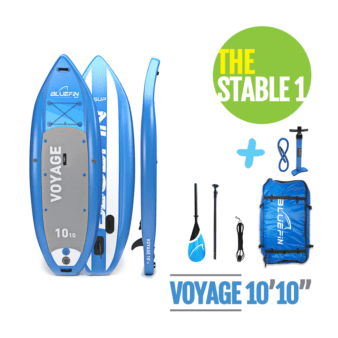 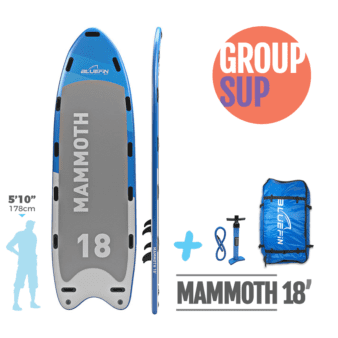 LOOKING FOR THE MOST STABLE, VERSATILE, ALL-INCLUSIVE KIDS’ SUP PACKAGE? 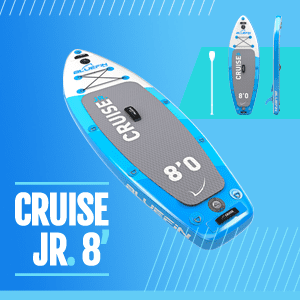 Jr packs all the same great features & construction as the grownup version! 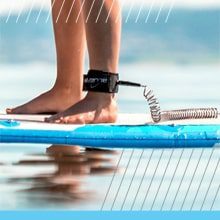 It’s lightweight & perfect size for anyone under 5’3. 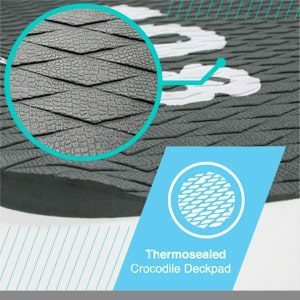 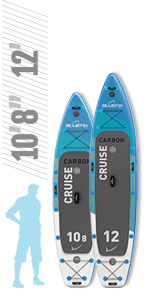 Only Bluefin uses 1000 Denier Exo Surface Laminate PVC & Pro Weave Drop Stitch. 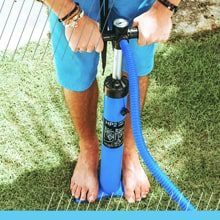 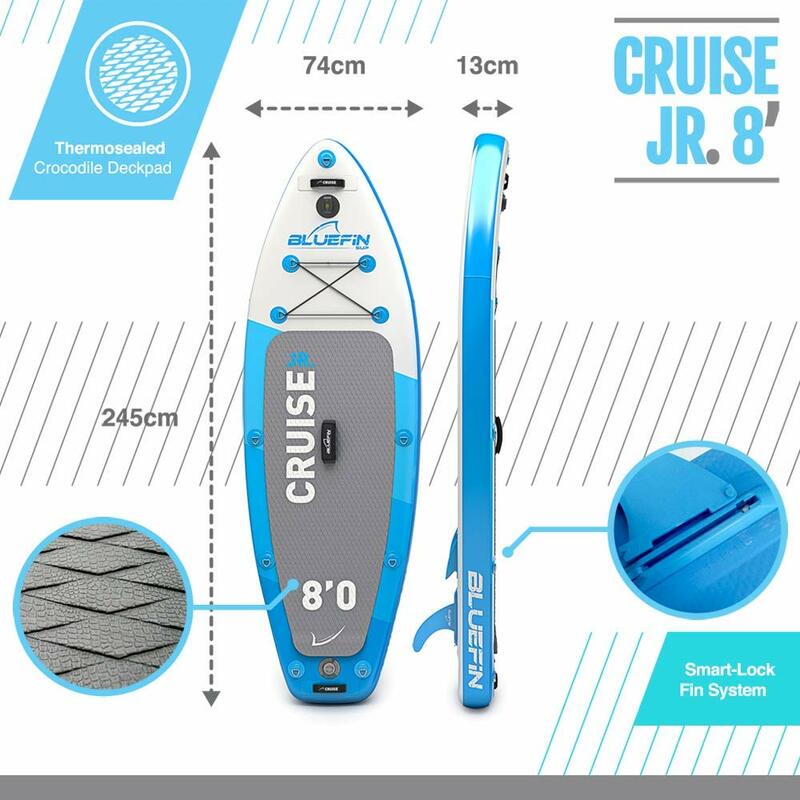 This makes Jr so tough it can hold up to 28 PSI. 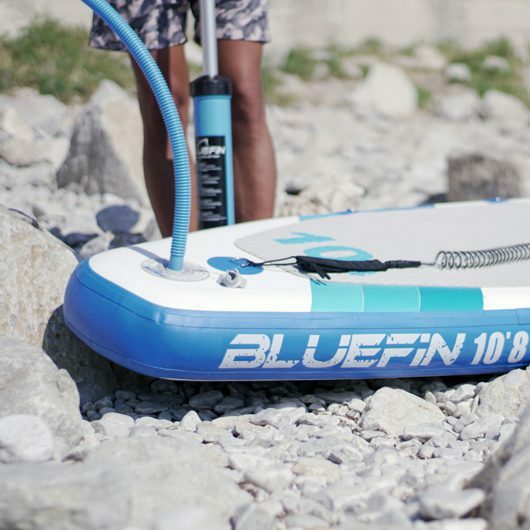 It’s the most rigid, stable kids inflatable SUP you’ll ever buy. 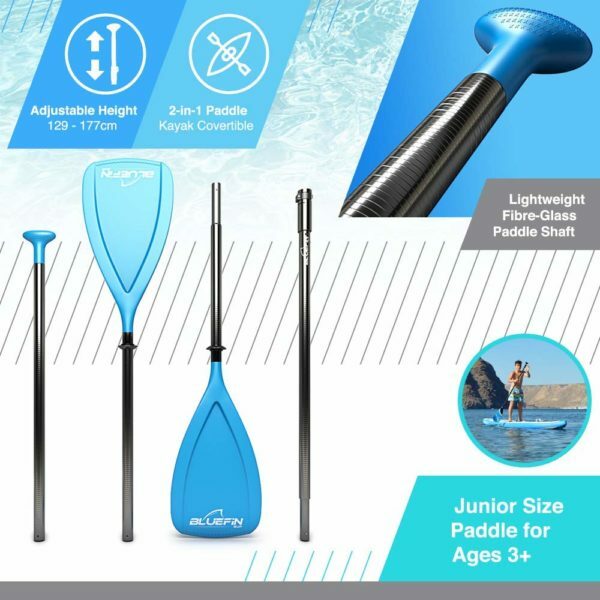 DURABLE Jr TRAVEL BACKPACK & LIGHTWEIGHT FIBREGLASS PADDLE – Our super comfy full-sized bag scaled down for kids with extra padding & outside pocket. 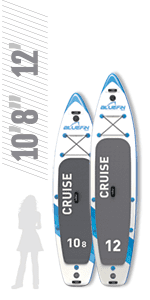 Adjustable 2 piece paddle has an ergonomic fibreglass shaft weighing almost 45% less than standard SUP paddles. 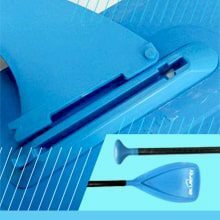 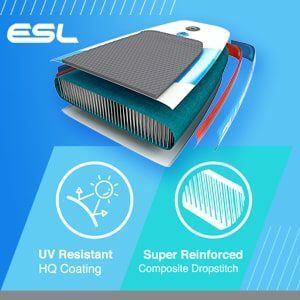 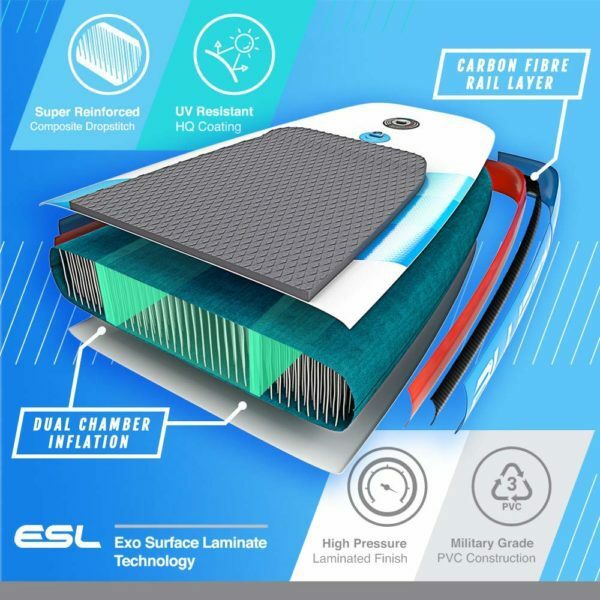 Noflutter polyurethane composite blade is impossible to chip or damage. 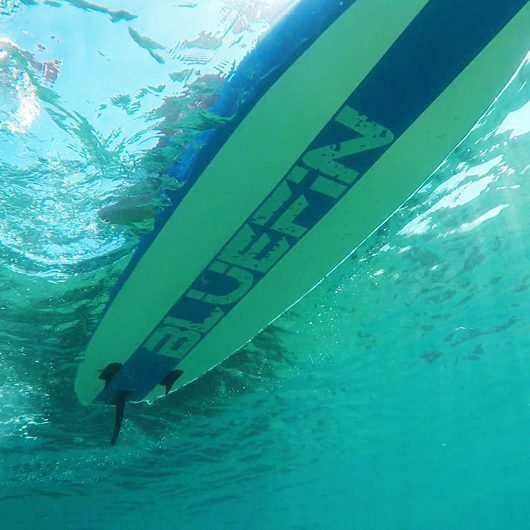 Both float! The Cruise Jr 8″ packs all the same great features & construction as the grownup version! It’s lightweight & perfect in size for anyone under 5’3. 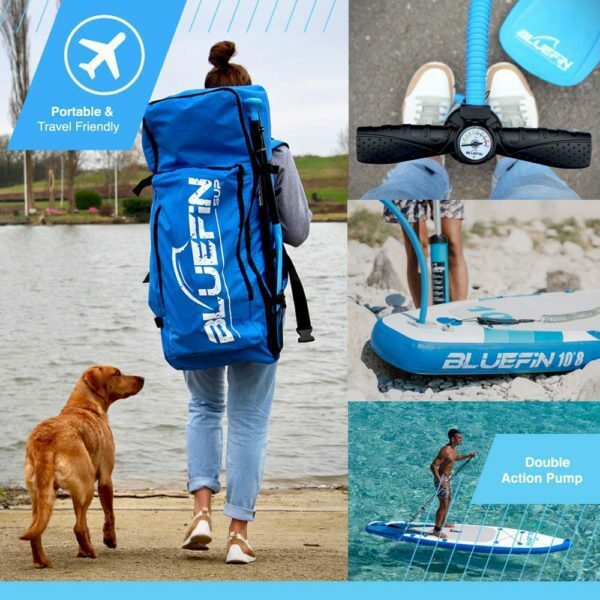 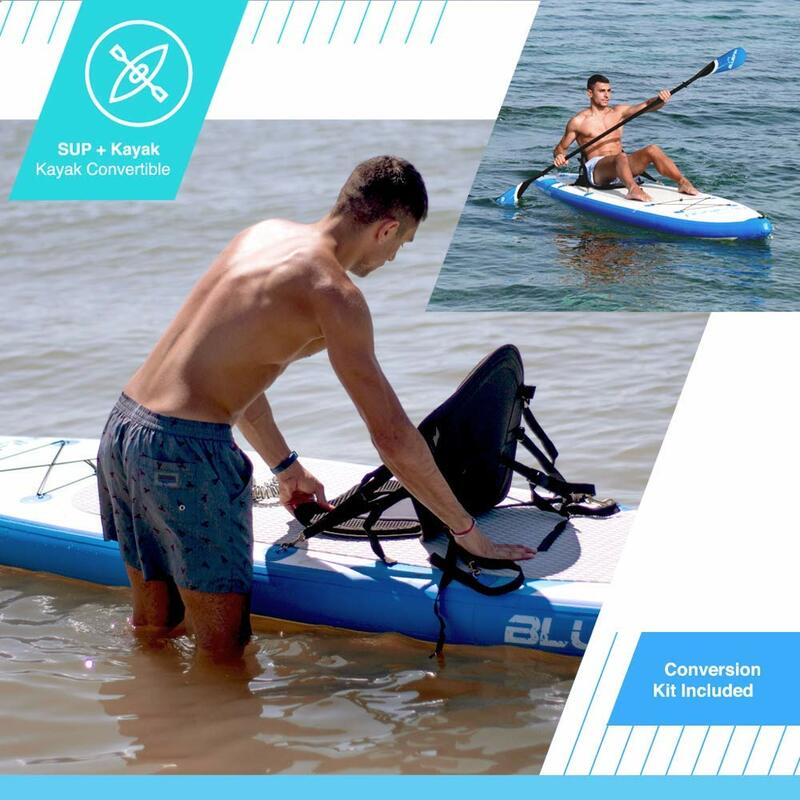 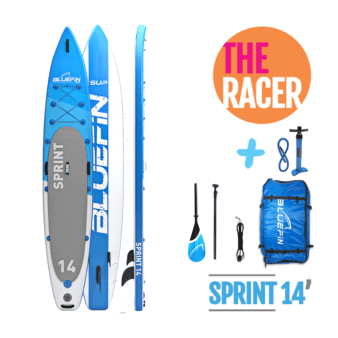 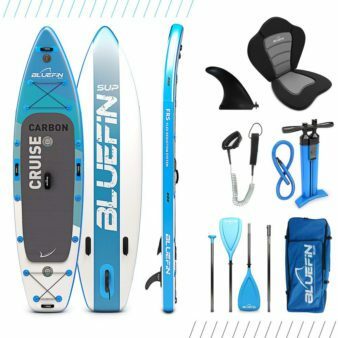 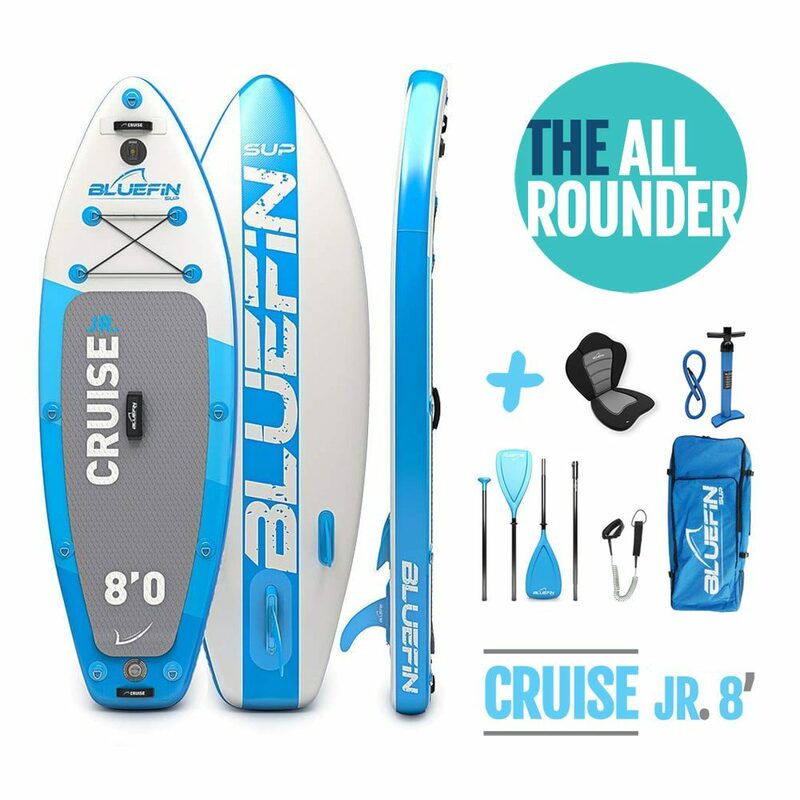 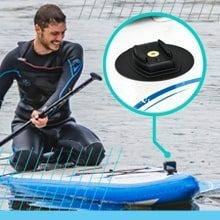 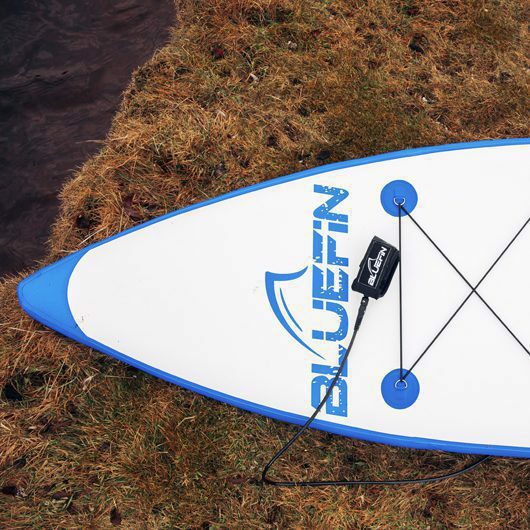 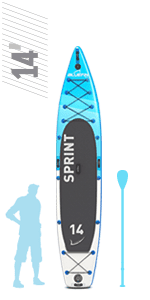 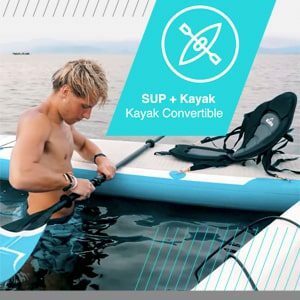 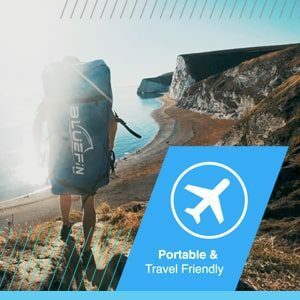 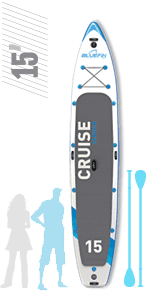 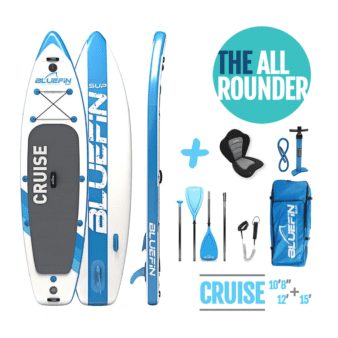 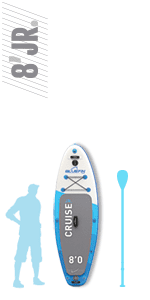 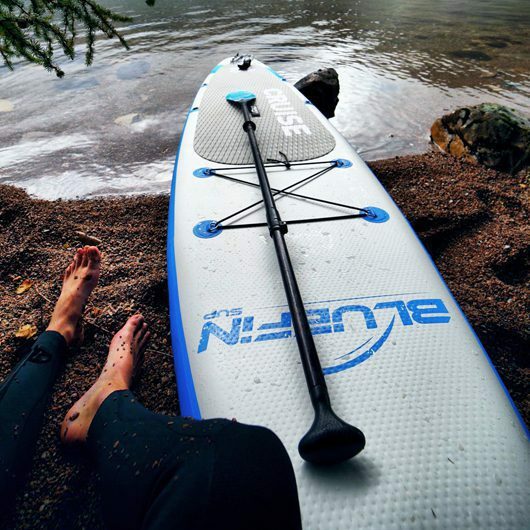 Spend less time deciding & more time paddling on Bluefin’s Cruise, the most versatile iSUP around. 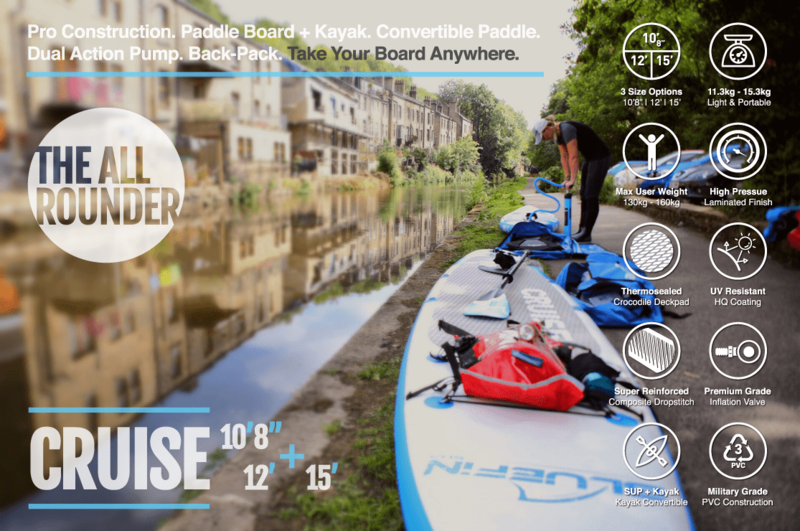 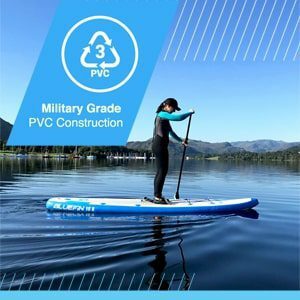 For smaller paddlers who want a board that travels light & provides rigid stability for the whole family the Cruise delivers.